We had our first snow of the winter last week, so my homemade snow visors got their first test. The results were good, but not great. 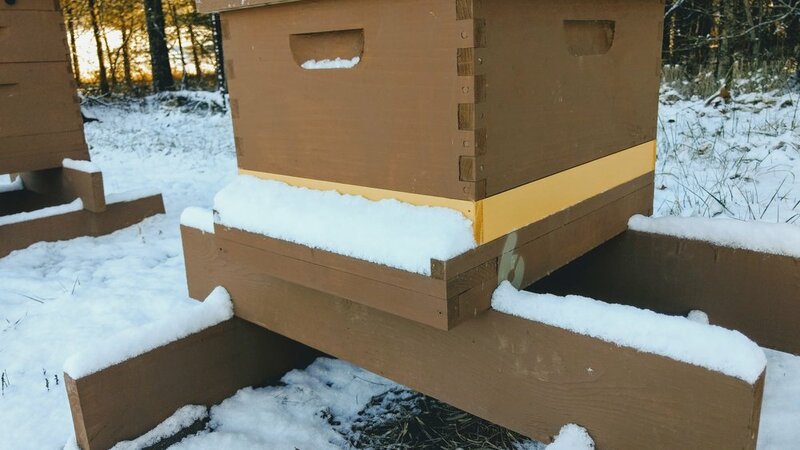 For 1-2 inches of snow, the visors were able to keep enough away from the entrance to allow free passage of bees in and out of the hive. But there was still snow on the landing board, and a couple more inches would probably block the entrance. 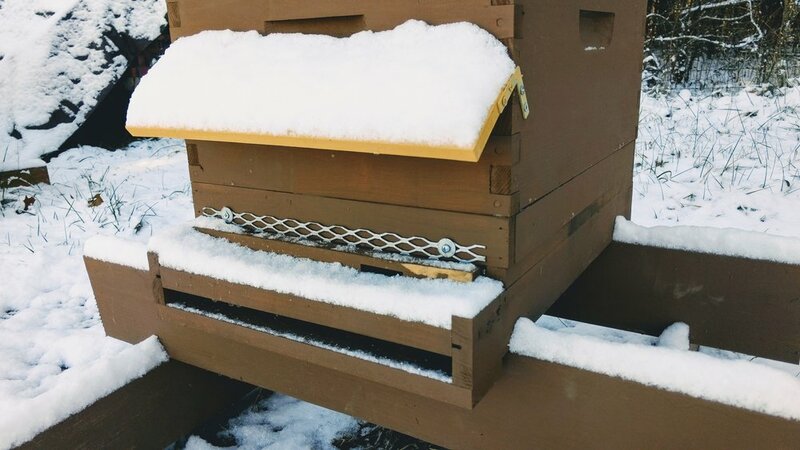 The current configuration is effective enough to buy me some time before I need to clear the snow off the hive, but next year I'll probably mount them a bit lower or build them a bit larger. That should make a world of difference.